…so little time to mention them all. Here is a quick sneak look though at latest incarnation of Kre . Picked up today from Milwyn Fine Art foundry. 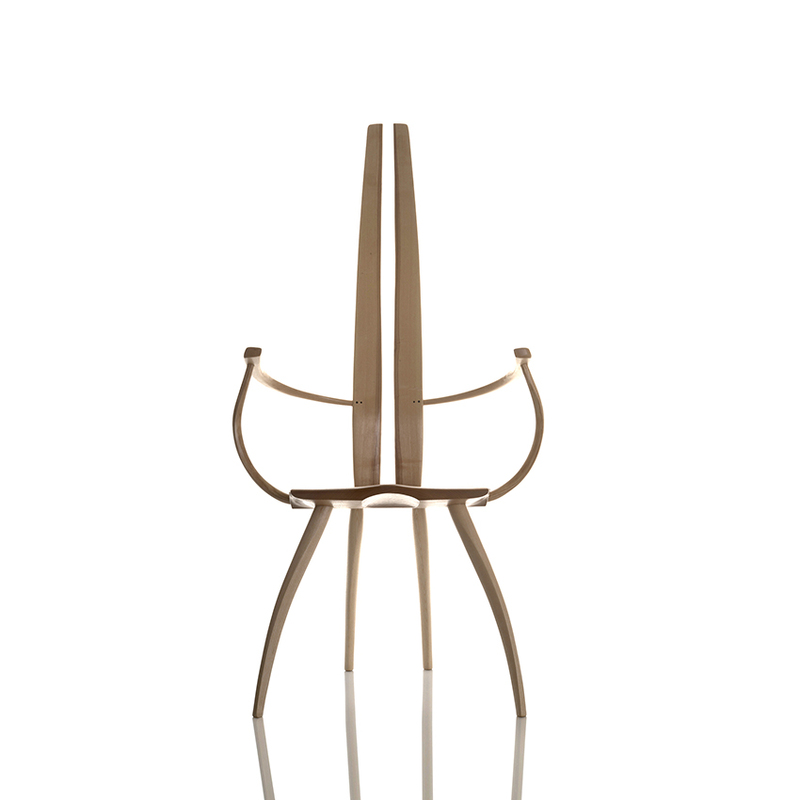 1st opportunity to experience this piece for real will be in the 'collectibles' hall at Design Shanghai March 2015. Dragon Kre is patinated hollow cast bronze work created from an original carved template design by Alun Heslop. We are of course naturally very excited about this new piece. Many other works and projects completed such as the 5.5m high carved standing oak sculptural form - The Tree of Life. There's a New 4m White bench, More concrete in a new Beam bench design, Works for Hancocks the Jewellers, London (more on that in Spring 2015), Sculptural road bridge underway amongst things and here's Alun - just hanging around on a cantilevered suspended bench! Welcome to the Material Mind. Are you going to the private view? First opportunity to experience the latest cast bronze chair 'Kre' by chaircreative amongst other stunning works by five designer artists pushing at the boundaries within the accepted wisdom of furniture design and making. 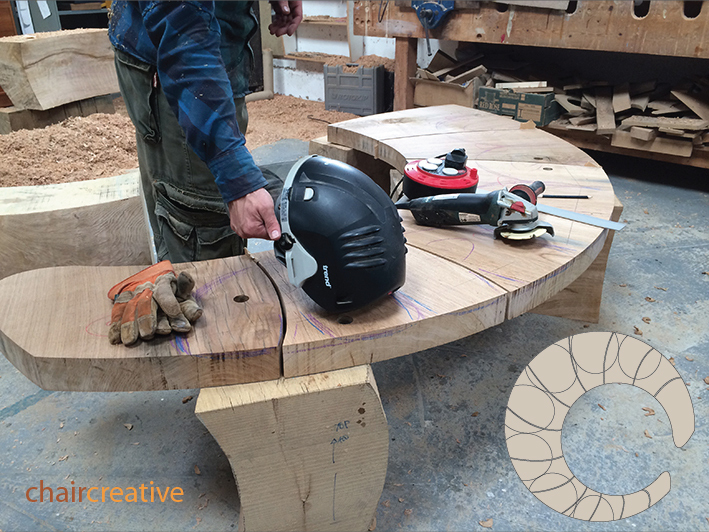 Creation of the new tree ring seat for Bordehill Gardens, W. Sussex. Layers upon Layers of templates! These are template sections from 2 quite un-related projects. Makes quite an interesting image - especially with feet in view! 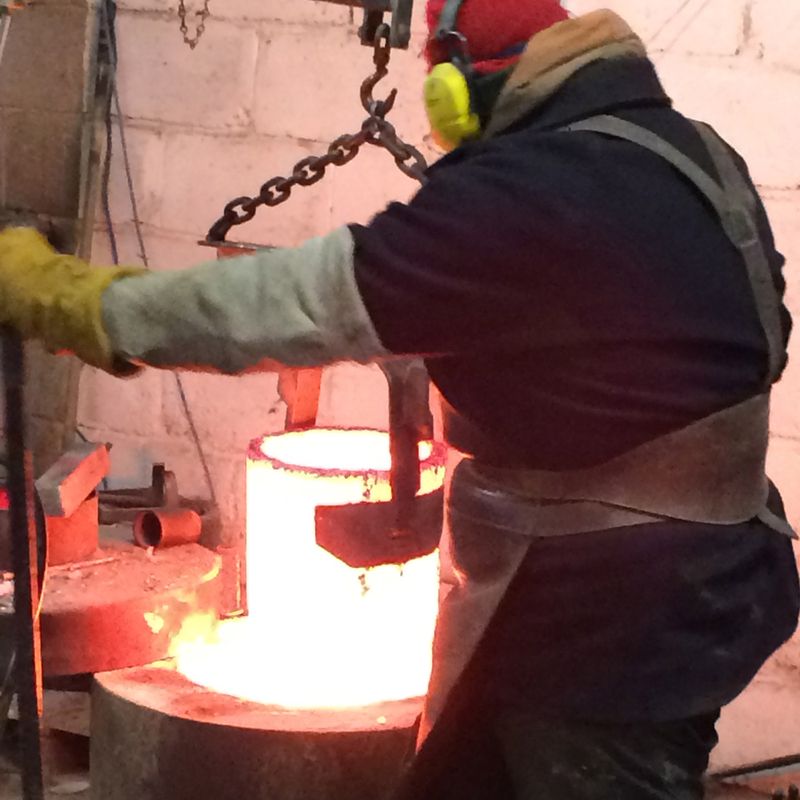 A visit to Milwyn foundry to check on the progress of the making of Kre. The Moulds have been created from the component parts and the first positive waxes produced. Kre is being produced with the 'lost wax' process of casting. There is of course still a long way to go until the final piece comes together! At this stage though we are interested in generating good moulds. Good moulds make good waxes and good waxes produce clean definition castings. In the gallery below you can see the positive waxes with the hollow void cavities. You may notice that the back section has been broken down into smaller component parts to facilitate ease of sectional casting in the slender backrests. The next stage will be the ceramic dip to make the moulds for the bronze casting. Essentially this is about making a hard fired ceramic shell around the wax positives with pouring cups. The ceramic shells are painstakingly created in layers of multiple coated dipping - each carefully dried before applying the following coating. 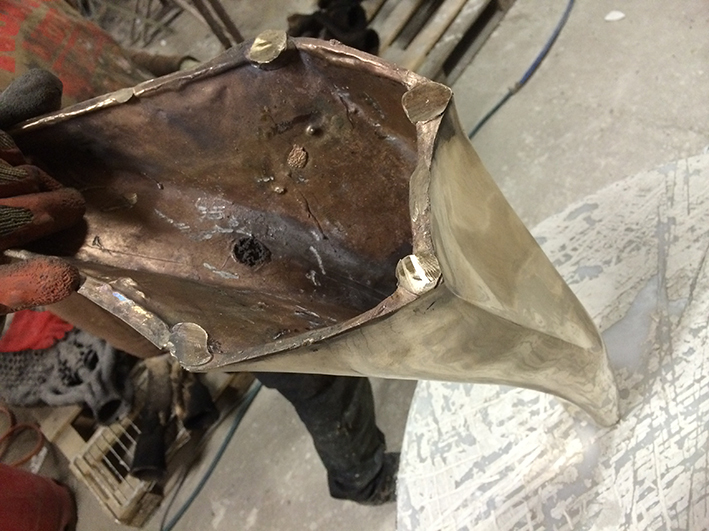 Reinforcing structure is also added to the larger component sections to keep them stable during casting. The ceramic coated moulds are then kiln fired to remove all of the wax inside and make the hard shell mould ready for pouring. 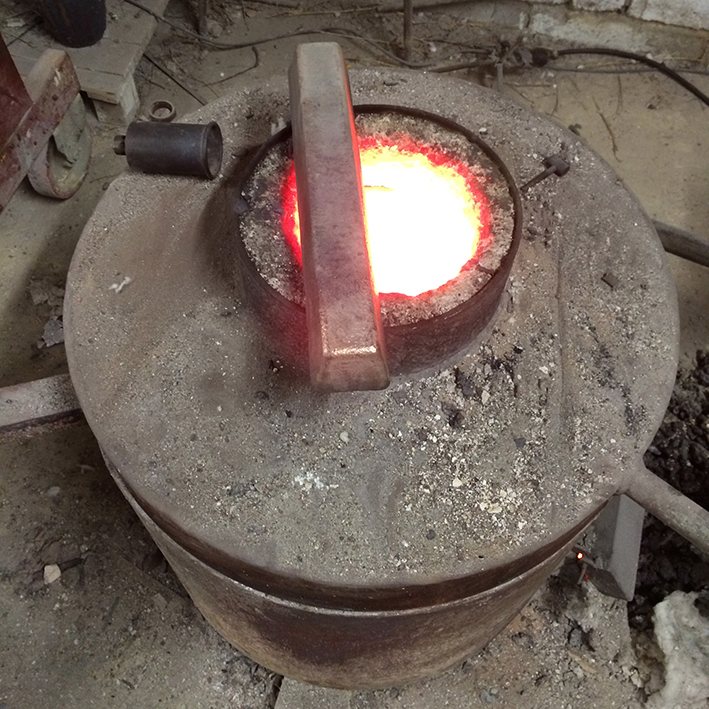 The bronze pour for Kre is due in around 3 weeks time - more pics to follow then on that part of the process of making. And here's the ceramic dip process taking place of some old skeletons in the closet. It's certainly messy work! 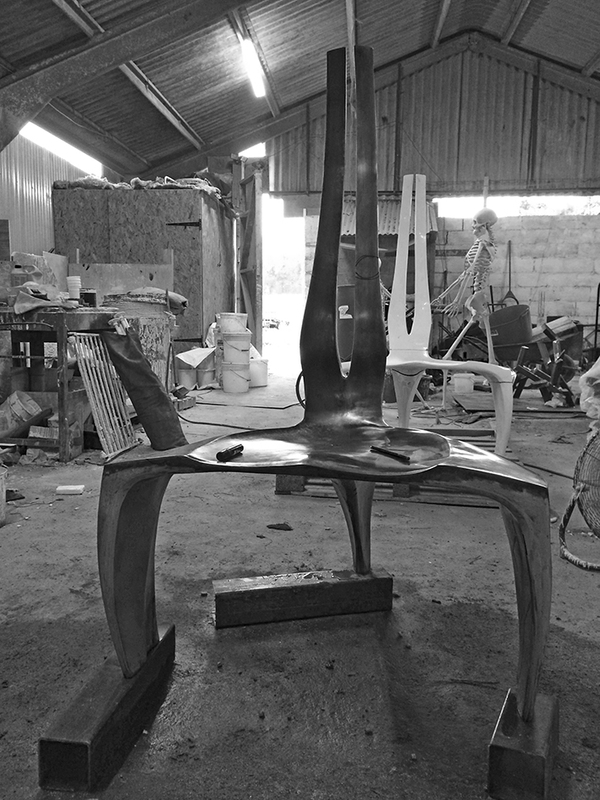 Here's a view of the inner detail of a new sculptural 3 vane leg element. 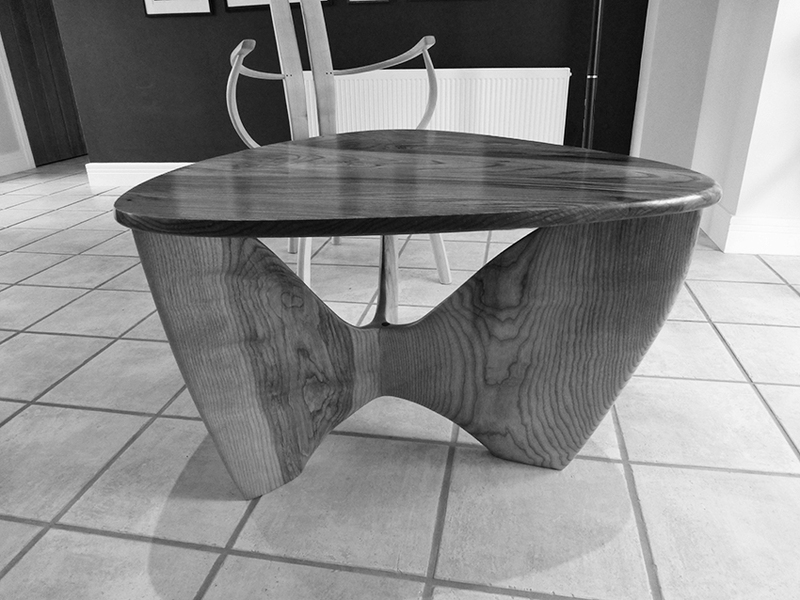 This particular structure forms the basis of a coffee table commission. The original design shown below with glass top. The actual finished work by request will feature a single piece board top in elm wood. More pics to follow soon of the completed work in situ. Seen here in the 'white' - this is assembled template form for the bronze casting. 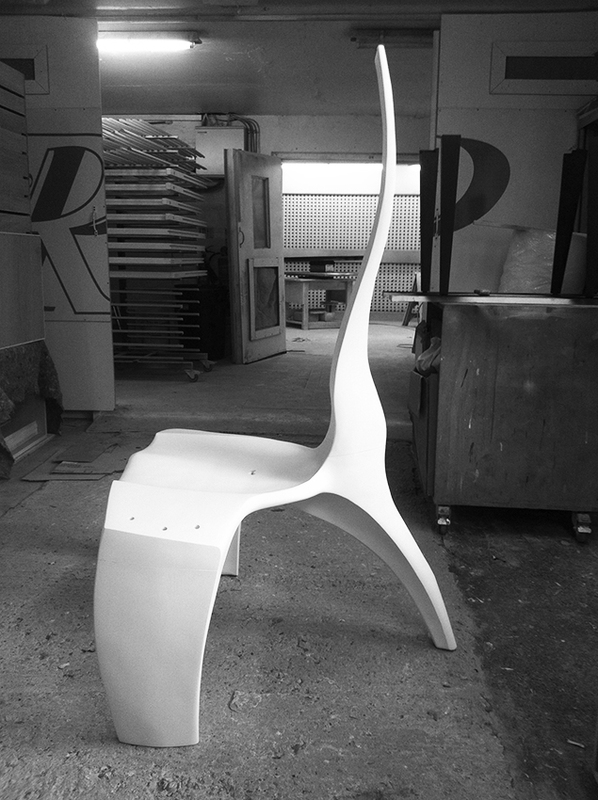 This chair will be produced initially as a polished bronze piece. 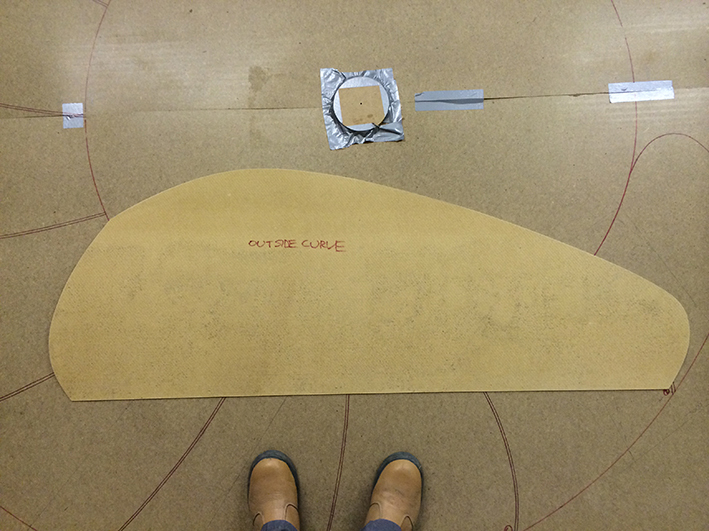 This template form is now at the foundry where moulds have been created of all of the individual sections. 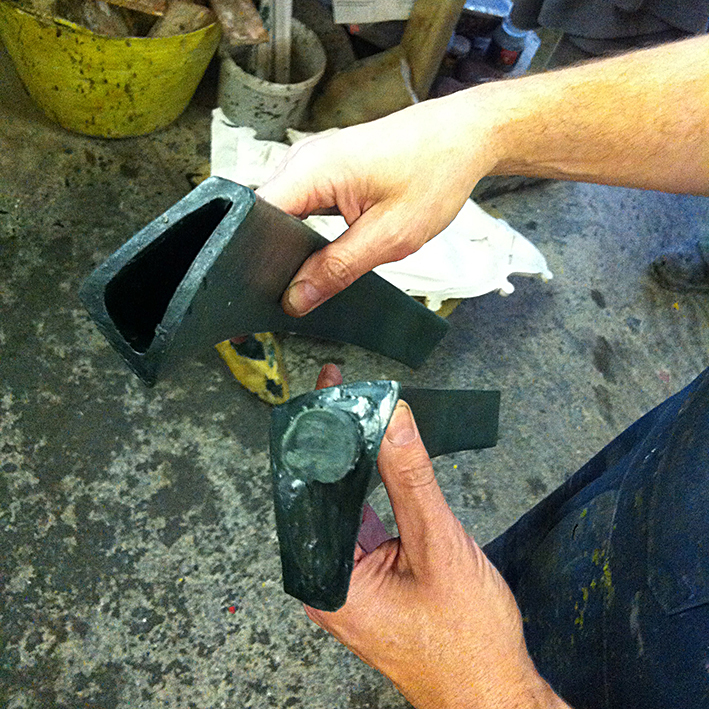 Wax positives well then be produced in order to create the casting moulds for the liquid bronze. Will post more information and images on next visit to the foundry. 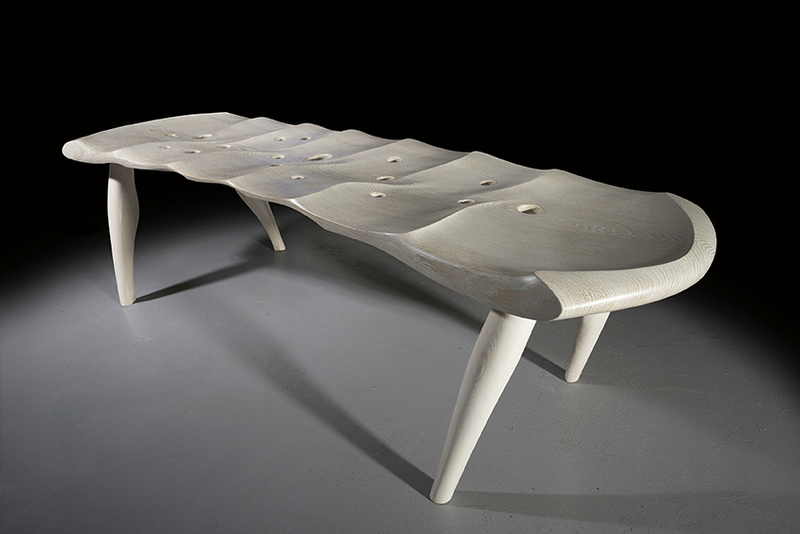 The template form is a meticulously hand carved wooden ergonomic sculptural form. It has then been spray painted in order to create a easier release process from the latex mould making of the components. This is of course quite a large chair, however it will not be an entirely soild object as semi hollow voids will be created in the larger sections at the foundry into the positive waxes in order to reduce physical mass. More information coming soon as this project develops. In some ways, everything is about light. The absence or presence thereof, how it moves, how it shifts and where it falls. Full studio set of images of Razorfish III and Nimm Rae II to follow soon. New works now complete and ready to be shipped to latest exhibition 'Furniture with Soul' at the Gallery Naga, Boston, U.S.
Amidst the creation process of the latest run of chairs - the curse of 'any available flat surface'. In this instance - workshop course attendee Chris's bench in development gets commandeered as a handy table! You can follow more about his bench in later posts. 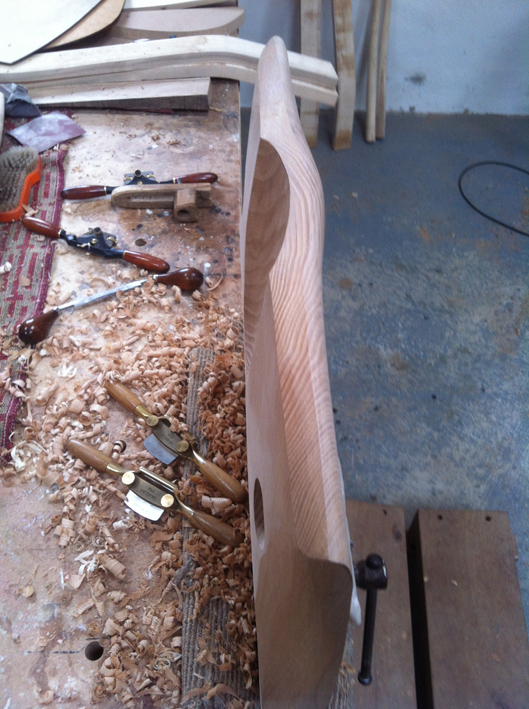 He is currently working on a luxurious 2 seater garden bench to an original 'chaircreative' design. 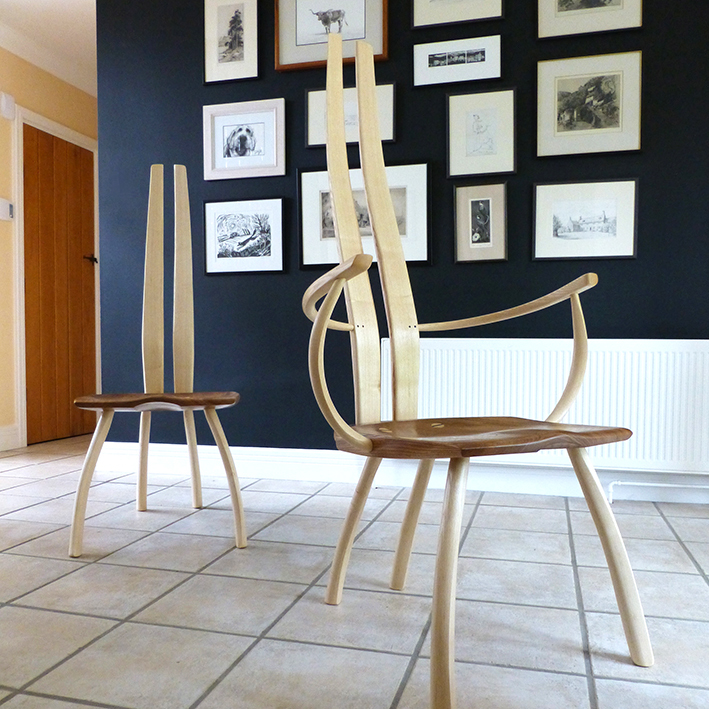 In the meantime a few more pics below of chairs and edges. There are of course several chairs below in the process of creation all at once. You can clearly see the component blank forms of the steam bent arm rests and back rests ready to be fitted.